Childhood and youth stages are the most abject states of human nature. They are social constructs that always change over time and varies greatly between the social and ethnic groups within any given society. The nature of childhood and youth has changed over time and still continues to change. Childhood and youth stages have been understood as human development processes rather than fixed states. However, there are limited interests in changes in childhood and youth, which can be understood within the context of social conditions. Therefore, it is important for anyone approaching the history of childhood and youth to have some level of awareness of the changes. This study seeks to explore the key drivers for change; the contributions made by pioneers and agencies, including, policy makers, and evaluation of their effectiveness by focusing on critical moments of change through examination of policy legislation, geographical, historical and contemporary contexts. Childhood is a natural stage of life which is never changing and which every human being must pass through. It is considered a compulsory level in life. Childhood is constructed differently in different regions, in different times and between different cultures (McKendrick, 2000, p.360). Childhood and youth are natural stages of human development. Like many other inventions, childhood was originally forged from a potent relationship between ideas and developments within a frame of socio-political and social needs (Jenks, 1996, 12). Childhood theories are considered as highly emotive and are concerned with blatant contrasts, which demonstrate the development over time of a psychological or emotional significance as observed in the state of adulthood. Children are usually brought up in different natural settings/ environments and it is the different environments that make them acquire different traits. The main drivers that determine the changes observed in childhood and youth include technological advancements, physical environment, education background of the child, family backgrounds, as well as, the society in general in which the child develops. Childhood personality is exceedingly influenced by the presence of parents, policy makers, and educators. These people spend most of their time with children as they undergo biological, physical, and mental changes and development. Other childhood experiences affect an individual’s life in the future as the changes are observed in differences in life styles, individual values, child rights, child needs, and mental characteristics. Jones and Cunningham (1999, p.23) have also argued that globalization is an influential factor which impacts the cultural orientation of individuals during childhood and youth. Changes in social structures, such as, gender differences, also plays a significant role in changes experienced in childhood and youth. Therefore, this study is motivated by the experiences of childhood and youth which entails geographical contexts in a family concept. Jenks (2002, p. 31) defines childhood as the development of individuals pertaining to the acquisition of cognitive skills and other lifelong skills. Individuals are exposed to different surroundings during childhood. It is important to offer guidance to children as they undergo this important development stage. Jenks (2002, p. 34) observed that during childhood, individuals are caught between the clouds of nostalgia and utopia, between the past, present and future. Children possess different traits based on gender differences, the differences between boys and girls indicate different levels of socialization. Age also affects childhood since children experience different characteristics at different ages. In addition, street life also affects many youths because in states, such as New York, the teenagers get home early because of the dangers inherent with the streets. Life in the streets denies children the living conditions which enhance their moral and social development. In the streets, children become rebellious thereafter influencing each other. These include use of drugs, criminal activities, such as, use of weapons; hence influence their peers. In addition, the streets can contribute to high rates of juvenile delinquency among the youth (McKendrick, 2000, pp.318-9). This study explores the cultural variations associated with how parents manage the behavior of their children. Children exhibit different childhood traits in different environments. For instance, increased levels of residential segregation between the rich and the poor play an important role in childhood, since socio-economic status affects the psychological health, education, as well as, wellbeing. The political behavior of children and youth are also affected by the social structure. Children develop these attitudes, as a result of the differences in socio-economic status and environments which have made them be totally different from children in earlier years (Jenks, 2002, p.215). The environment should be designed in a manner which prevents children from environmental hazards, such as accidents. Understanding the differences of environmental contamination on children is a very important aspect of environmental policy making (Carrington & Marsh, 2005, p.67). Different settings affect childhood behavior. There are relevant aspects of setting such as space and the contents of space. Linked to these particular settings include different types of behavior. Therefore, the characteristics of the setting reinforce habits of social interaction, which eventually becomes the core of a child’s behavioral profile. Geographical childhood entails concepts which are greatly affected by changes in an individual’s lifestyle. Lifestyle is portrayed by the type of food which children consume and how they spend their free time. The society also plays an important role in determining the changes experienced by individual during childhood and youth, some societies have experienced a considerable geographical pressure in terms of child diet (Powell& Murray 2008). The changing in childhood and youth is an aspect which has been greatly influenced by the environmental conditions in which the child is exposed. Powell& Murray (2008, p. 12) observed that physical forms part of learning activities which children experience as they grow. Living in the city affects the behavior of children because children are confined to a setting which makes it impossible to take part in subsistence activities when compared by those living in the countryside. The city settings are associated with activities which minimizes the opportunity of children to learn and practice responsible behavior (Carrington & Marsh, 2005, p. 281). Children’s landscape of consumption is also affected by the inequality in society. The social class is a cultural influence which is guided by the geographical location within the social structure. A child’s early home environment can greatly shape their mental development. Therefore, a child’s geographical knowledge is very important because it improves the day to day development of a child’s existing knowledge, and experiences from the base for learning and it also affects a child’s cognitive skills through understanding of the physical environment (Jones, & Cunningham, 1999, p.12). In the urban setting, parents are more concerned about the safety of their children; hence, ensuring that children are confined in the homes before it is very late in the evening. Children have different coping abilities to different situations and are more likely to succumb to stress, because they fear being subjected to traumatic stress (Holloway, & Valentine, 2000. P. 789). The interaction of individuals with environmental factors influences personality development during childhood (Jones and Cunningham, 1999, p. 113). In the society, social structure, cultural orientation, gender disparity, technological advancements, as well as, geographical context concepts also affects an individual’s psychological development during childhood. The youth are also faced by various challenges such as teenage pregnancies. Children who are raised by young girls who are parents are poor and less educated and tend to exhibit behavioral problems because their parents lack the ability to master parenting skills (Jones et al., 1999, p.121). Moreover, young mothers experience physical and mental complications in their motherhood. In addition environmental factors play a major role in determining the health and wellbeing of children. Previous studies have demonstrated that environmental factors affect the health of children differently, in different geographical regions. It is the role of policy makers and law enforcers to shape these environments. Children are exposed to different health risks as a result of differences in environmental conditions (McKendrick, 2000, p. 362). According to Chawla (2010, p.21) there are numerous assumptions, which are attributed to childhood development based on the immediate environments. The current world has greatly changed due to technological advancements and social structures which greatly contribute to the changing nature of childhood and youth. In the current century, children have access to various items, such as toys, which they use to play. This is very different to the changes in childhood in the earlier years when children used rudimentary materials to make toys. Technology advancements influence childhood development because if they lack the necessary playing materials they may develop mental retaliation (Valentine, 997, p. 227). Parents spend a lot on their children to ensure that they are exposed to the best opportunities, in order to make them develop good values, which are conversant with the current age (Carrington & Marsh, 2005, p. 285). However, many items used by individuals during their childhood are very costly; hence, limiting the chances of children to access resources, such as, toys. 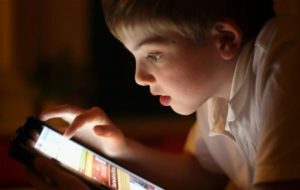 Children are more inclined to cyber space; hence, have developed introverted attributes when they experience decreased social interaction when compared to children who are not used to computer games so often (Carrington & Marsh, 2005, p. 281). Other aspect of the Internet, which influences childhood, is the concept of cyber bullying in different regions. In addition, video games have also resulted into many anti-social behaviors in most individuals during childhood since most children lack the time to interact with others. These social networking sites have also made children be gullible to become victims of cyber bullying, such as, being abused online (Holloway & Valentine 2000, p.772). The contents of online materials accessed by children usually encourages them to be attached to technology making them spend less time to socialize with their peers (Powell & Murray 2008, p.342). When children are exposed to electronics such as television, they develop health complications, such as obesity, because they spend more hours watching televisions. It has been noted that approximately 90% of children population aged between four and five years spend more time watching televisions, video games, as well as, computer games on a daily basis thereby robbing them of time to exercise (Powell & Murray 2008, p.345). In some countries, such as, Singapore, government policies have been enacted to enforce children activities, such as, play. Powell and Marsh (2005, p.281) observed that play is significant in childhood development yet technology seems to deprive children off time to play through lifestyle change. Children have fundamental rights, such as right to education, right to play, and the right to receive healthcare. Child right also important in shaping childhood because they allow children to have the opportunity to express their ideas freely to avoid being exploited by adults. This is also related to the right to development and protection from neglect since those who are underprivileged are prevented from growing in a free manner. Physical activities ensure that individuals are exposed to physical and mental development (Holloway &Valentine 2000, p.776). Over the years, the right of children to play has been emphasized as a fundamental right. These activities shape the formulation of education curriculums. According to Powell and Mash (2005, p.17) there are numerous statements that are contained in the article focusing on children’s right which recognize different aspects of leisure and play time, including recreational activities appropriate to their age. Therefore, playing is a right to all children, even to children with disabilities and children raised with families from poor backgrounds. The fundamental children’s rights need to remain constant, for the benefit of every child. It is imperative that the rights of children are conserved and desirable policies constructed with the changing nature of childhood and youth (Powell and Mash, 2005, p.25). It should be understood that the United Nations conventions focus on fundamental children’s rights, legislation, put in place to protect the basic human rights of every child (Powell & Mash 2005, p.54). The UN conventions provide statements with regards to the fundamental rights of children, such as the right to play. Play as a right should be a common practice encouraged in educational institutions, and should demonstrate that children are actively involved in physical activities. Children who play demonstrate good traits, hence, physical activities contributes to their development during childhood. It is the responsibility of policy makers and the general community to ensure that fundamental rights and needs of children remain constant, despite changes which are experienced in their immediate surroundings. In most policy makers have embraced the need of physical activities in children through limiting the changing nature in childhood and youth (Powell and Mash, 2005, p.56). These have been greatly affected by technological advancements. Gender differences have been discussed in terms of the vicissitudes of the drives, conflicts and identifications rather than in terms of their end product in overt behavior. Gender difference is best understood in latency and brings about expectations that drive the actions of individuals during childhood (Chant, 2007, p.59). Since children have different abilities, it is the responsibility of educators to implement curricula which may change the nature of learning in childhood. Furthermore, inequality limits social independence as a result of poverty. The drivers of change in childhood and youth are different in different environments, which are basically attributed to differences in geographical regions (Chant, 2007, p.71). As a result, it is important to focus on awareness about the need to focus on child development. Education is vital in shaping the nature of childhood and youth through changes made in the curriculum. Educators use both theoretical and practical approaches in skill development. The academic performance affects childhood, especially on personality development and future memories. Policy makers and parents have established strategies of educational development among children which has greatly assisted in ensuring equality in dealing with children needs (Carrington & Marsh, 2007, p.77). In Singapore for instance, children are exposed in social environments where they are monitored effectively during childhood. In some cases, parents expose their children to play schools before attending the formal education institutions. These are important in their mental and physical development. Social factors such as social evils also affect childhood development. When children are exposed to violence and other criminal activities, they become so much vulnerable to violence and cases of abductions (Holloway, & Valentine, 2000, pp.771-2). There are many conditions that are related to sedentary lifestyle choices that influence childhood and youth. Arguments regarding driving forces responsible for changes in childhood come from different perspectives. Changes in lifestyle also determine the changes in childhood and youth. Lifestyle choices are greatly influenced by the existence of parents and the community in general. Social problems, such as, family conflicts and deprivation also affects children through lack of adequate opportunities and amenities, hence, affecting their development. Citizenship and urgency are also important to the development of children. Ascription and social class places people in positions particularly in the stratification systems. Parents’ behaviors have a direct impact on childhood development. Parents who subject their children in continued conflict may make their children lack confidence and become relaxed when it comes to development. Such occurrences make children function in a deregulated manner; hence, lack appropriate footing with themselves or in interaction with their peers (Chant, 2007, p.62-3). Family conflicts, such as, insults may set emotional insecurities and maladjustments in children. Such conditions may subject children to behavior problems, such as, depression and anxiety (Strong et al, 2005, p. 734). The changes which are observed in the society affect the mental state of health in children and youth. Other factors such as economic situations may influence access to play objects like toys, which may also contribute to mental stress. Through economic, poverty has made children be exposed to harsh living conditions which lead to stress (Holloway & Valentine 2000). A critical engagement into the aspect of globalization establishes possibilities for rethinking early childhood pedagogy as a critical factor that plays a considerable role between the global and local space that affects the changes observed in childhood development. On the other hand, through globalization, children have been observed to exhibit a discursive aspect which has never been approached in the past (Powell and Mash, 2005, p.78). Scholars have also observed that through globalization, there are many changes which affect childhood. For instance, through globalization, there have been many changes observed which have a considerable implication on childhood education through the changes observed in curriculum and educational systems. Globalization has also ushered a wider historical change, in terms of social relations, culture, economic, as well as, social relations. Based on the reviewed literature on changing in childhood and youth, it is evident that everyone has the responsibility to shape childhood behaviors. Parents play a major role of encouraging childhood socialization through setting up environments where children can interact with their peers freely and embrace play and other activities (Holloway, & Valentine, 2000, p.765). Some people have changed their perspectives on children since they do not have the ability to express their ideas. Moreover, some individuals perceive that children are more demanding and exert a lot of financial strain based on financial grounds. In most communities, parents have little capability to expose their children to better living standards. Therefore, the society will be more inclined to take care of children; hence contribution to a situation whereby they will be more knowledgeable but with less moral values (Carrington & Marsh 2005). However, it is not important to emphasize on the moral values, which have been observed to be the responsibility of parents, educators, as well as, policy makers to balance between the education and extra curriculum activities. Through this study, it has also been noted that the environments which the children are raised in are also very crucial in shaping their future personality. Children from different regions and different families have different unique abilities which are unfortunately defined by their environment to some extent. This is usually brought about by the inequality in accessing essential opportunities. Therefore, it is the responsibility of everyone; policy makers, parents, educators, and the society in general to ensure that the fundamental rights of children are observed and protected (Valentine, 1997, p.214). Through this, it will be possible to ensure that they are exposed to good learning environments where they learn and play with their peers. In order to ensure proper childhood development, ability should be complimented with the opportunity it deserves. Carrington, V. & Marsh, J., 2005, ‘Digital Childhood and Youth: New Texts, New Literacies’, Discourse: studies in the cultural politics of education, Vol. 26 (3), pp. 279-285. Chant, S. H., 2007, Gender, Generation and Poverty: Exploring the ‘Feminisation of Poverty’ in Africa, Asia and Latin America. Cheltenham, UK: Edward Elgar, 56-71. Holloway, SL, & Valentine, G, 2000, ‘Spatiality and the New Social Studies of Childhood’, Sociology, Vol. 34 (4), pp. 763-783. Jenks, C, 1996, Childhood, Routledge, London. Jones, M, & Cunningham, C, 1999, ‘The expanding worlds of middle childhood’, in Embodied Geographies: Spaces, Bodies and Rites of Passage, ed. Teather, EK, Routledge, London. McKendrick, JH, 2000, ‘The Geography of Children: An Annotated Bibliography’, Childhood, Vol. 7, No. 3, pp 359-387. Powell, A & Murray, S., 2008, ‘Children and Domestic Violence: Constructing a Policy Problem in Australia and New Zealand’, Social & Legal Studies, Vol. 17, No. 4, pp. 453-473. Strong, WB et al., 2005, ‘Evidence Based Physical Activity for School-Age Youth’, The Journal of Pediatrics, Vol. 146, no. 6, pp. 732-737. Valentine, G., 1997, ‘Children’s Outdoor Play: Exploring Parental Concerns about Children’s Safety and the Changing Nature of Childhood’, Geoforum, Vol. 28, No. 2, pp. 219-235.